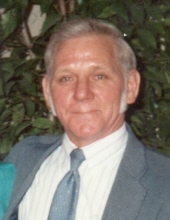 Raymond Perry, age 78, of Rural Retreat, VA ended his journey from this Life to the path God chose on Friday, March 29, 2019 at his home surrounded by his loving family by his side. He loved everyone & never met a stranger. He was born November 27, 1940 in Surosa, WV to the late Alonzo Perry, Sr. and Irma Perry Marcum. He was a veteran of Vietnam having served in the United States Army. He was a hard working coal miner for 21 years and pastored Millstone Apostolic Church for 28 years. In addition to his parents he was preceded in death by six brothers: Allen Perry, Charles Perry, Elwood Perry, Carl Perry, Donnie Perry and Alonzo Perry, Jr.; one sister Vergie Pack and one granddaughter Crystal Rolen. Raymond is survived by his loving wife of 54 years, Pauline Perry; four children Teresa Rolen & husband Gene; Angela Deel & husband Greg; Shelia Keene & husband Greg and Timothy Perry & wife Rosalind; two brothers Willard Perry & wife Florence and Ronnie Perry & wife Elaine; three sisters Evelyn Burress & husband Ervin; Alice Malphus and Florence Smith & husband Donnie; 11 grandchildren, 17 great grandchildren and a host of nephews, nieces, church family and friends also survive. The family will receive friends from 6 – 9 p.m. Monday, April 1, 2019 at Singleton Funeral Service in Cedar Bluff, Virginia. Funeral Services will be conducted at 1 p.m. Tuesday, April 2 at the Singleton Funeral Service Chapel with Bro. David Farmer & Bro. Tim Fox officiating. Burial will follow in Greenhills Memory Gardens Cemetery. Casey-Short VFW Post 9640 will conduct Military Graveside Rites. Pallbearers will be Justin Rolen, Ryan Rolen, Steven Childress, Josh Deel, David Heath and Burly Childress. Honorary Pallbearers will be James Dye, Tom Finney, Gene Rolen, Greg Deel and Greg Keene. Online condolences may be sent to the family by going to www.SingletonFuneralService.com. The family of Raymond Perry is in the care of Singleton Funeral Service in Cedar Bluff, VA.
To send flowers or a remembrance gift to the family of Raymond Perry, please visit our Tribute Store. 11800 Gov. G.C. Peery Hwy. "Email Address" would like to share the life celebration of Raymond Perry. Click on the "link" to go to share a favorite memory or leave a condolence message for the family.